October strums its song in style, and autumn dreams begin. Summer’s grassy citrus fragrance has been replaced by something earthy and deep, spicy and mellow. The vibrant neons of lemonade stands and poolside sunbathing are transformed into dusky hues of darker days, and in just a few more weeks, I’ll find myself chasing the sunshine, as evenings come all too early, casting shadows of a year that is quickly coming to an end. I used to dislike October and fall and darker days. The end of summer meant the start of school, the start of way too early mornings, and the start of allergy season. Earlier nightfall sent a gloomy curtain of depression falling heavily on my chest. But in recent years, I’ve been learning that autumn ain’t that bad. Especially if I call the season “autumn,” and not “fall.” Just listen to the difference in the words. “Fall” brings to mind a descent into darkness, a fall into gloom, early nightfalls. “Autumn,” on the other hand, emanates with a romantic aura, launching pretty visions of a season that is far too beautiful to despise. 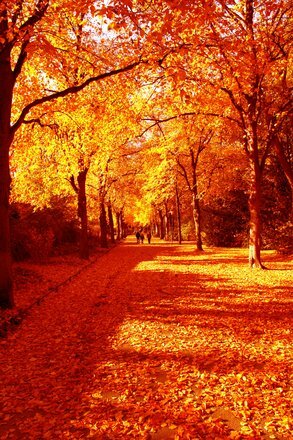 Golden leaves sprinkle the ground like cinnamon sugar on fluffy French toast. Leisurely walks. Books and pumpkin-spiced lattes. Writing under the covers on rainy mornings. Sitting in the park and watching the falling leaves as they cast ripples in the lonely pond. Autumn is a transitional season. There’s a quietness to it, right between the traveling and sweating of summer and the busyness and holiday-ness of winter. It’s like we get to take a breath, a pause in our crazy, bustling lives to look around us and enjoy the moment. And out of all the seasons, I do believe autumn is the one authors like to write about the most. There are so many reflective quotes that they could form a book in itself.